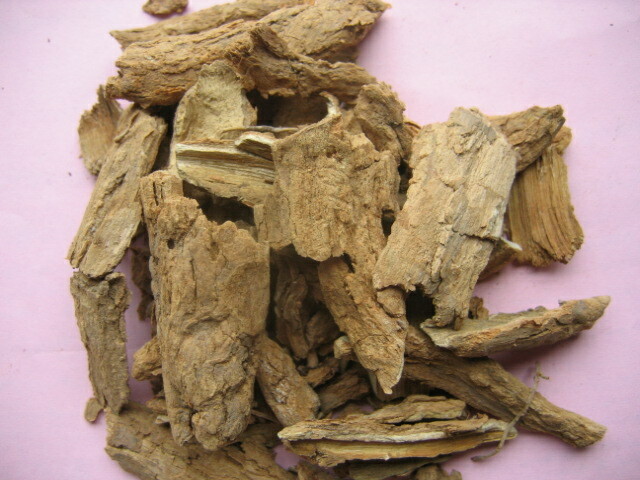 Bitter, astringent, cold; liver, large intestine and stomach meridians entered. Eliminate heat and dampness, astringe bowel, stop bleeding and kill parasites. Chronic diarrhea and dysentery, hematochezia, gonorrhea, spermatorrhea, morbid leucorrhea, infantile malnutrition, metrorrhagia, roundworm. Decoct 6~15 g, or made into pill or powder. Proper dosage is for external application, pounded into powder or decocted into paste for applying. It is contraindicated in case of the beginning of diarrhea, dysentery and deficiency-cold in spleen and stomach.